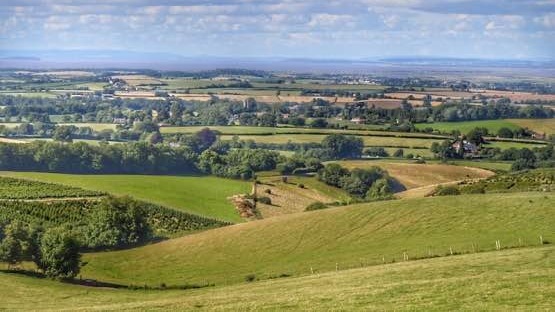 Set in the southernmost foothills of Somerset’s Quantock Hills area of outstanding natural beauty Cobbs Cross Farm (Home of Secret Valley) has been farmed by John Hardwick since 1973, now a family business with wife Jan and children Rob, Emma and Will. The farm has evolved greatly since then, turning organic in 2000 rearing Free Range Chickens as well as a Beef Suckler Herd, who can be seen enjoying their freedom in the lush green fields. In recent years the farm has gained some slightly more exotic residents, visitors can see the incredibly cute Miniature Donkeys and cheeky Alpacas roaming around their fields. The farms lush hilly landscape lends itself to perfect growing conditions for the main crop, Christmas Trees. Along with five acres of Vineyards growing five different varieties of grape: Pinot Noir, Rondo, Orion, Solaris and Reichensteiner producing their first crop in 2010. Red, White, Rose and Sparkling Wines can all be tasted and purchased by visitors. 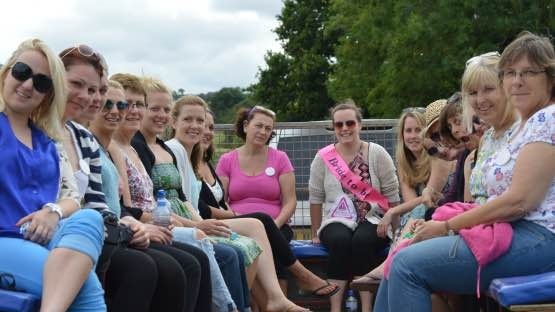 In 2010 the farm became Home to Secret Valley Glamping starting with six Wigwams to currently providing the option of Wigwams with or without hot tubs, shepherds hut, yurts, lodges or belle tents. With thirty two units strategically placed around the farm each provides a secluded setting to relax and take in the surrounding countryside. Excellent facilities including hot showers, toilets, two fully equipped kitchens/dining rooms and WiFi ensure an extra comfortable stay. 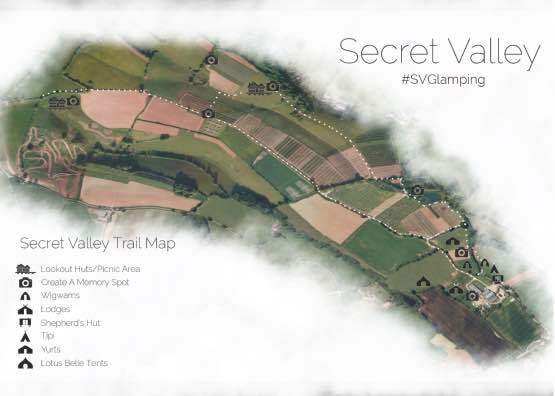 Secret Valley suits both peace seekers and adventure chasers, with the outdoor activity centre providing a variety of activities and the surrounding hills supplies outstanding opportunities for hikers or bikers in search of deserted trails. With all that Secret Valley has to offer and the beautiful South West beaches not to far away there’s simply no place you’d rather be. Explore the enterprises behind Secret Valley on Farmer Johns Farm tour. Popular with both adults and children, the tour takes you up the farm in an open trailer overlooking the stunning scenery. With games and surprises to wine tasting with panoramic views at the highest peak of Secret Valley; there is something for everyone. 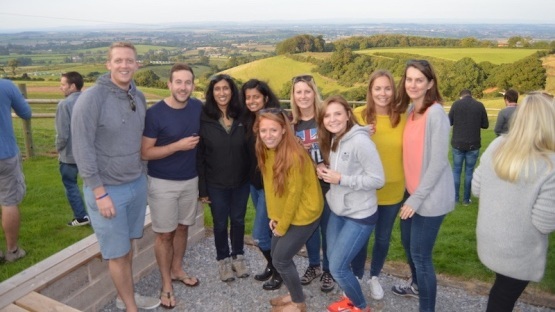 Tours need a minimum of 8 people (consisting of a single group or a mix of smaller parties) with each tailored to the groups age, tastes, and interests. Farmer Johns Tours are super popular but do need a minimum of 8-10 people. It is advisable to contact us prior to coming to check if a tour is running whilst you are staying. If you are not part of a group we can add you in with other visitors to make up a group to reach the minimum number needed to run the tour. 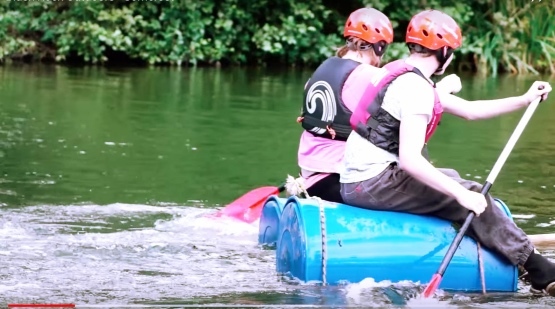 High Ropes, Raft Building, Mountain Boarding Water Zorbing, Kayaking and Canoeing (Prior booking is essential as each activity has varying minimum numbers of participants to run). All of the above are great team building activities making Secret Valley the perfect place to host a celebration, corporate or school event. Please see ‘How To Book’ below for more information. Contact Gof or Sophie who can provide a programme to suit you. Gof (general enquiries) on 07860 586655. Enclosed space where children can enjoy riding the mini tractors and play ball games. No booking is required for this activity. There is always time to pamper yourself. Therefore this year we have our very own Massage Therapist Beverley who will offer luxurious massage treatments at "the pamper pod". Swedish Massage - A truly lovely treatment designed to suit your individual needs. Course Fishing- exclusive access for Secret Valley guests to our stocked fishing lake. 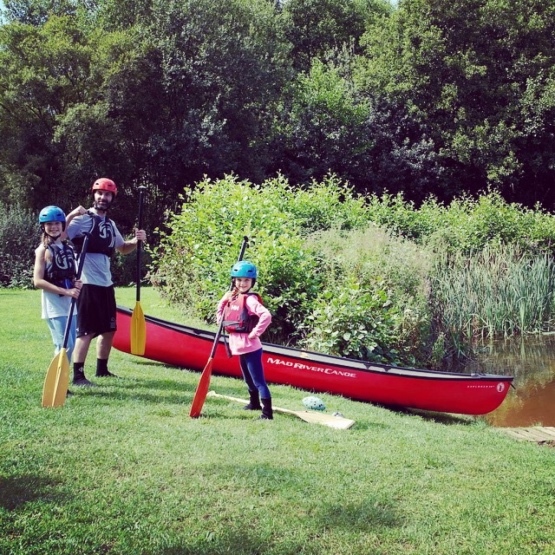 A calm and relaxed environment perfect for beginners or experienced anglers. We recommend these baits: Maggots, Bread and Sweet corn. No boilies, nut baits (peanut, tiger), bloodworm. Secret Valley cannot accept any liability for loss, damage or accident to persons or property. We will ban anyone that does comply with the lake rules. Thank you for your cooperation. Coarse Fishing is Free Of Charge to all guests. Sample our own Secret Valley Wine at your leisure in the Wine tasting Summer House. 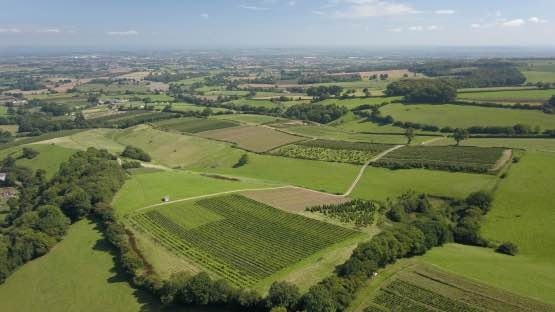 All grapes are handpicked to produce a great quality Red, White, Rose and Sparkling English Wine. The vineyard is close to our Shepherds Huts. Pool Tables, Boules Pitch, Skittles Alley, Table Tennis & Croquet!